Does your design create the right image to retain valuable visitors? Good graphic design is much more than creativity and technical skills. It requires a commitment to understanding your business communication goals, buyer behavior and best practices for each form of media. First impressions are everything, and our web and graphic design team keeps that thought at the forefront of every image they create. You aren’t just selling products or services; you are building and expanding on a brand. Solid, results-driven branding techniques are at the heart of our design approach. Your website, logo, print materials – even your letterhead – it all works together to form an impression of your business. Do you want that image to present a tangled mess of unrelated ideas or a cohesive picture of a business that’s at the top of their game? You want your marketing materials to look good – but what incremental value can one graphic designer offer over another? Plenty. Good graphic design is much more than creativity and technical skills. It requires a commitment to understanding your business communication goals, buyer behavior, and best practices for each form of media. 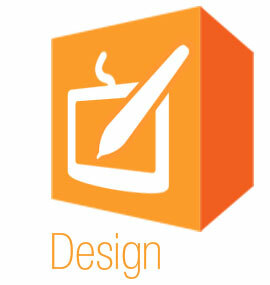 Our design team understands that results drive every aspect of marketing. They aren’t just designers; they are professionals with experience in creating appealing visuals that enforce the same message as the words that accompany them. It’s rare to find a graphic designer who understands the elements important for success of your marketing materials beyond simply making them attractive. Luckily, that rare breed is the only kind we employ. Our designers have a vision that goes far beyond the images they are creating at the moment, and instead focuses on the results and long-term success they can build for your business.